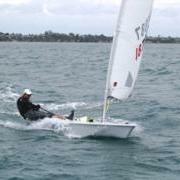 Thomas Saunders (Tauranga Yacht PBC) has won the Radial class in a 50 boat fleet at the 2010 ISAF Youth Worlds. Thomas's 3, 7, (29), 11, 13, 2, 5, 7 turned out to be very consistent given the variable conditions in Istanbul. 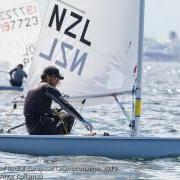 Mike Bullot (Canam Construction) kept his head to jump back to 5th overall with two 5ths on the last day of the 2010 Laser Europeans in Estonia. Nelsons Ryan Amlehn accepting his trophy as the 2010 Under 16 world champion in Thailand. Mike Bullot. 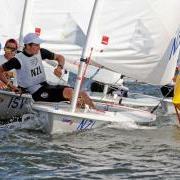 Andrew Murdoch, Josh Junior, Andy Maloney, Sam Meech, Max Andrews & Sara Winther at the Princess Sophia regatta.